Hello there! It has been a while since I have posted here on my wordpress blog. If you follow me on Social Media, you will most likely see me on Instagram my favorite. So, hop on over to see what I have been up to. I have also redecorated this blog and added my e-Decorating service “InBox Decorations” page, soon to be up and running. What is e-Decorating? e-Decorating is a convenient and affordable way for non-local clients to retain my Interior Decorating services virtually online. It is a great way for the client that is comfortable decorating their spaces but would like guidance in picking the right colors for their home, furnishings, lighting, home decor, furniture placement and much more. 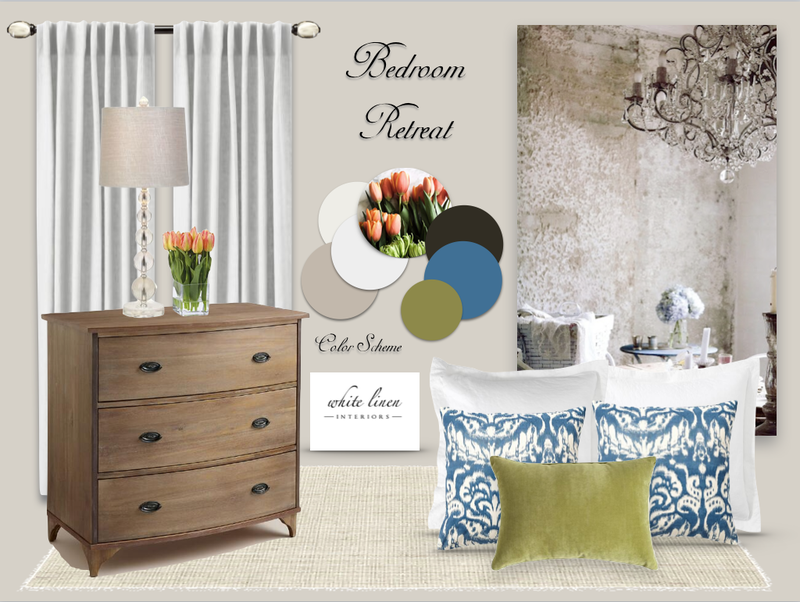 One way to show my clients my design idea for their space is through a design board like the one above. I also include a shopping list with stoppable links, detailed notes specifying furniture arrangement and if applicable hand drawn renderings or 3D digital renderings. All communication would be done electronically and using my online studio platform. But, in the meantime while I update my InBox Decorations page, please follow along on Instagram where I will be posting decorating ideas daily.